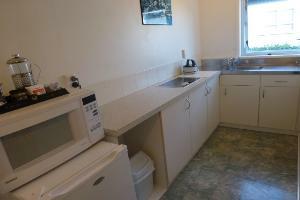 These large, pleasantly fresh, comfortable and clean studio units offer a super king sized bed, double couch and armchair with a small kitchenette (microwave, toaster, jug). 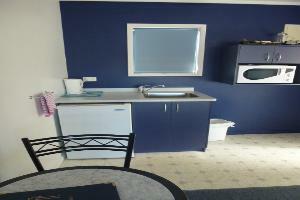 Private bathroom with standard shower and toilet facilities. 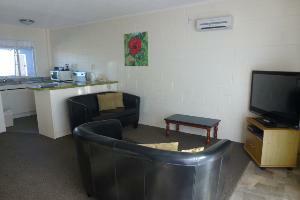 Large 40 inch LCD LED Flat screen TV with TV1, TV2, TV3 plus 5 SKY channels. 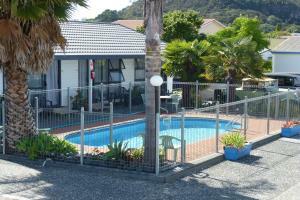 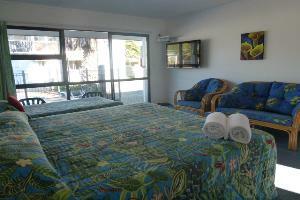 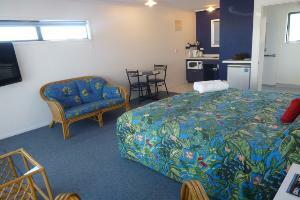 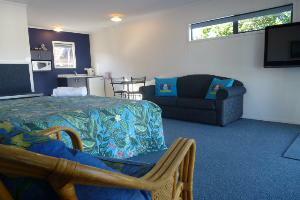 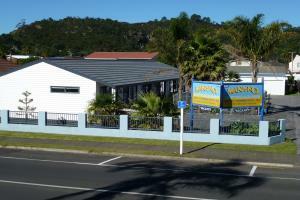 Outdoor table and chairs for relaxing and enjoying the comforts of Mana-Nui Motel. 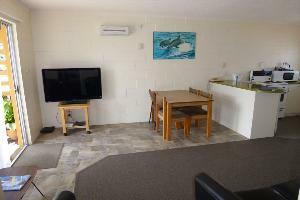 This large, pleasantly fresh, comfortable and clean studio unit doubles as our access unit and offers a super king sized bed, double couch and armchair with a small kitchenette (microwave, toaster, jug). 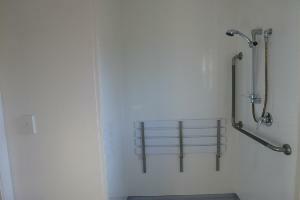 Wet floor private bathroom, shower, toilet facilities accessible by wheel chair. 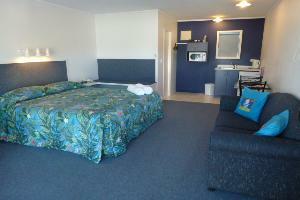 Large 40 inch LCD LED Flat screen TV with TV1, TV2, TV3 plus 5 SKY channels. 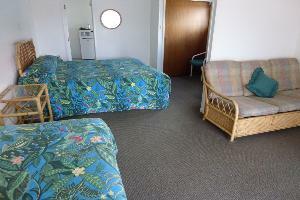 Outdoor chairs for relaxing and enjoying the comforts of Mana-Nui Motel. 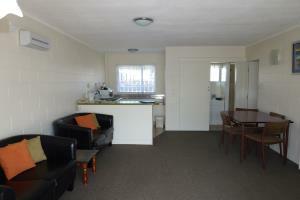 These pleasantly fresh, comfortable and clean studio unit offers a super king sized bed and single bed, double couch and armchair with a small kitchenette (microwave, toaster, jug) all in the same room. 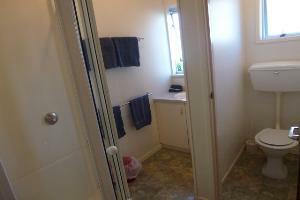 Private bathroom with standard shower and toilet facilities. 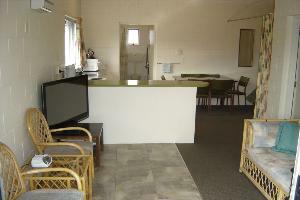 Large 40 inch LCD LED Flat screen TV with TV1, TV2, TV3 plus 5 SKY channels. 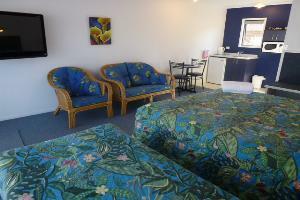 Outdoor table and chairs for relaxing and enjoying the comforts of Mana-Nui Motel. 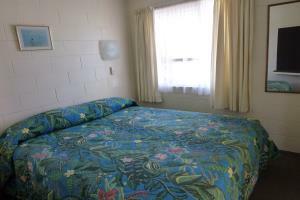 This large, older style, comfortable and clean studio unit offers a super king sized bed and single bed, double couch, dining table/chairs all in the same room. 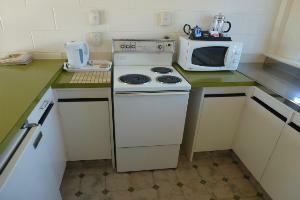 A small kitchenette with microwave, toaster, jug, hot plates in own area. 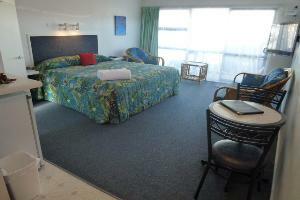 Private bathroom with standard shower and toilet facilities. 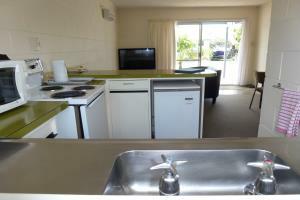 Large 40 inch LCD LED Flat screen TV with TV1, TV2, TV3 plus 5 SKY channels. 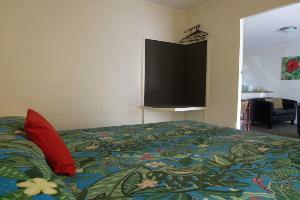 Outdoor table for relaxing and enjoying the comforts of Mana-Nui Motel. 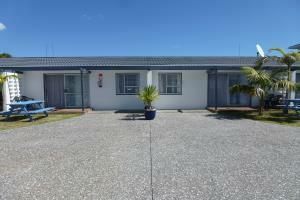 This unit does front the road. 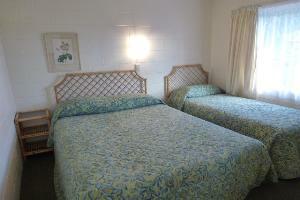 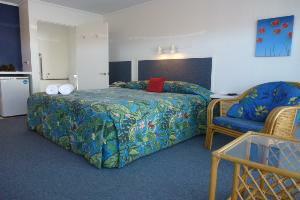 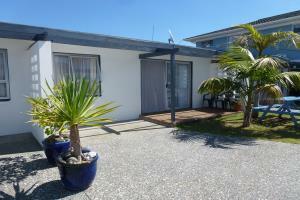 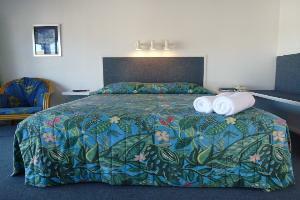 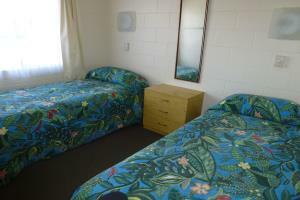 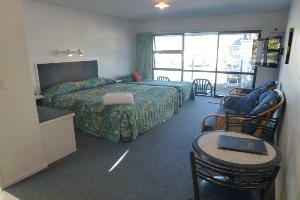 Large Twin Studio Unit, Super King and single bed. 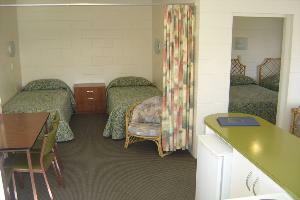 These older style family units are clean, comfortable, functional and fully self contained with a King bed in one room and 2 singles in the other. 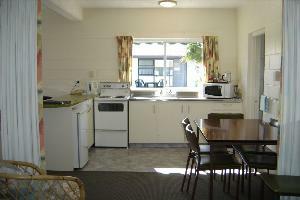 Full kitchen facilities (oven, hot plates, microwave) dining area and lounge are all open plan layout. 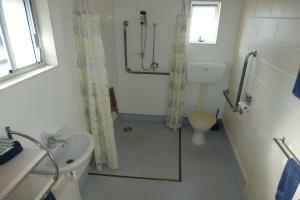 Standard bathroom, shower, toilet facilities, hair dryer on request. 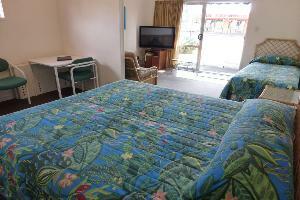 Large 40 inch LCD LED Flat screen TV with TV1, TV2, TV3 plus 5 SKY channels. 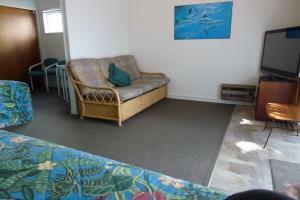 Leather couches. 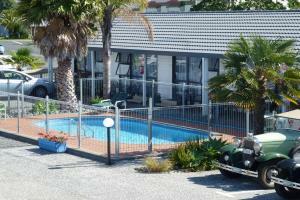 Outdoor area in front of unit for BBQing, entertainment and parking. 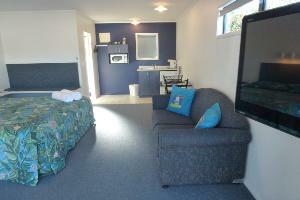 Two Bedroom Unit Lounge Area.